Superb audio quality — Exceptional dynamic range (123 dB on analog output) and THD+N (-110 dB). 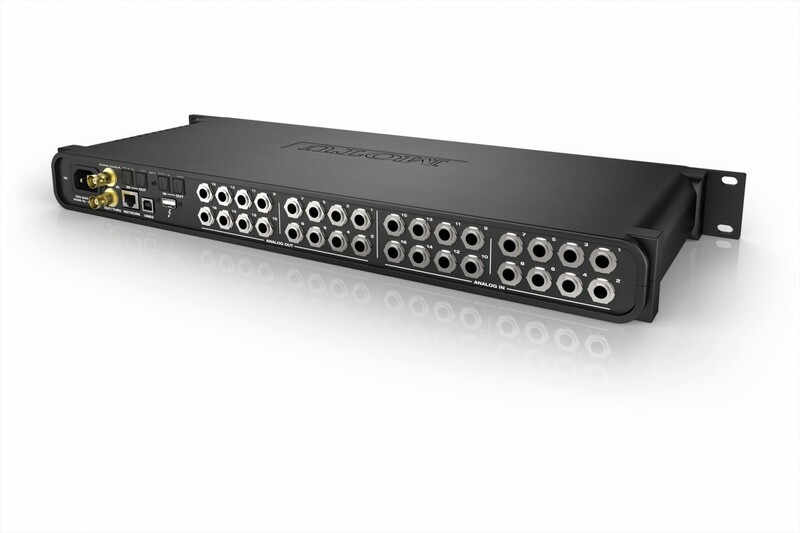 Sixteen balanced/unbalanced TRS analog inputs and outputs, plus 2 x 8-channel ADAT optical ports for 32 inputs and 32 outputs. Universal connectivity — Thunderbolt or high-speed USB 2.0 (compatible with USB 3.0). USB audio class-compliant firmware and Industry standard drivers work with any audio software. On-board 32-bit floating point DSP with large console style mixing and effects —Flexible 48-input digital mixer with 12 stereo busses and DSP effects, including reverb with sends, plus modeled analog EQ and compression, gate, and reverb. System expansion and audio networking — Add a 2nd MOTU interface with a simple Cat-5e ethernet cable. 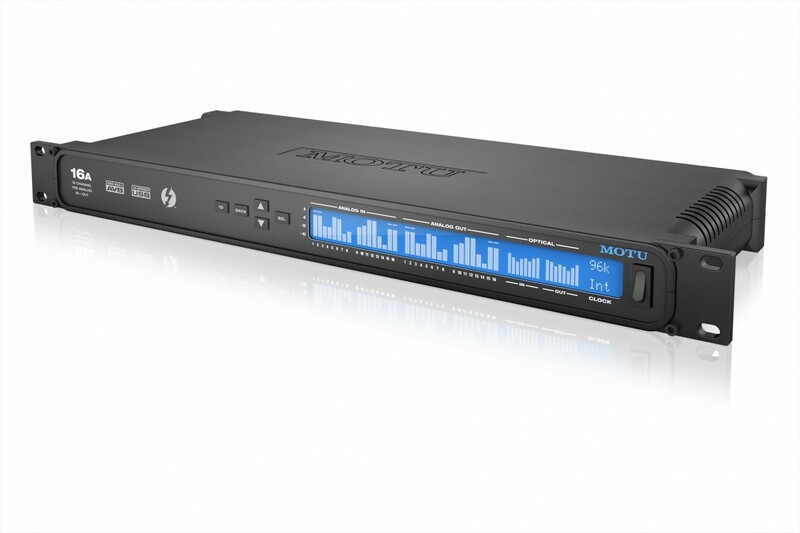 Connect up to five MOTU interfaces using a MOTU AVB Switch (sold separately). 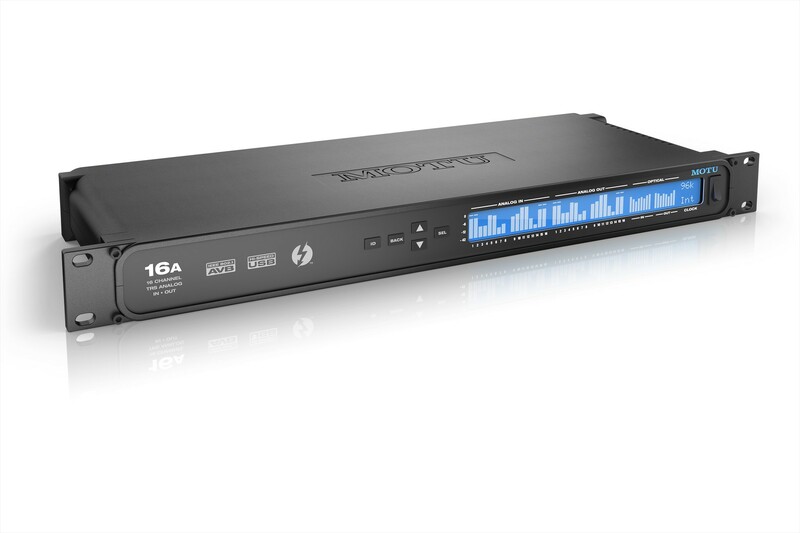 Build a network with multiple interfaces and computers using standard AVB switches and network cabling, with ultra-low network latency, even over long cable runs (hundreds of meters). Stream hundreds of audio channels among devices and computers on the network. Matrix routing and splitting — Flexible, matrix-style audio routing and splitting for any analog or digital input, computer channel or network stream to any other output, computer, or network device. Split any single input to unlimited multiple output destinations.